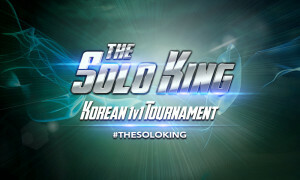 LOS ANGELES – January 30, 2015 – Azubu, the premium eSports network, and KeSPA, the Korean eSports Association, announced today a partnership to broadcast the upcoming Korea Solo King Tournament, starting February 5 in Seoul. Beginning next week, group stages will determine the best two solo players from an initial group of 48 top Korean pro players, culminating in a final matchup March 8. Azubu will broadcast each event, complete with English-language play-by-play provided by well-known eSports shoutcasters, giving Western audiences a glimpse into the elevated play style of Korea’s best players. Players from organizations such as SKT TI (including Faker), CJ Entus, NaJin, IM, Jin Air, KT and Samsung are set to compete. Players will be randomly seeded in single-elimination tournament brackets, competing in 1v1 custom games set in the mid lane of Summoner’s Rift. Players will advance by winning two out of three matches. Of those three matches, the first two will be played in Draft Mode, with the first pick of the first game chosen by coin flip. Game three, if necessary, will be played with Blind Pick. All of the live action will be available on http://www.azubu.tv/azubu in glorious HD. Korean e-Sports Association, known as KeSPA, was formed in 2000 as the governing body of e-Sports in Korea by the Minister of Culture, Sports and Tourism. KeSPA has helped pioneer a strong e-Sports market in Korea as well fosters a competitive environment to create the strongest teams and players in the world. KeSPA strives to grow e-Sports in a sustainable manner to create long term success for e-Sports in the world.